The notoriously rude posters for the first movie warned fans that Deadpool was ‘packing’. Well, the next movie is bursting at the seamy red leather seams with action, laughs, shocks and an incredible array of cameos. Last time around Deadpool told the audience that the budget was too small to afford proper X-Men. This time, there is no such problem. The film is peppered with major Marvel characters popping up, as well as one huge Hollywood star. 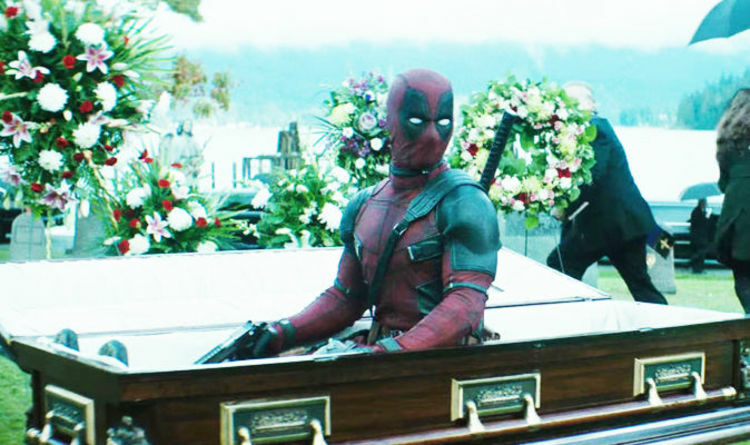 Deapool may pop out of coffins i teh movie, but some of his cameos still try and keep out of sight. From the socially inept superhero, anyway. One classic scene shows Deadpool complaining again at the lack of X-Men in the mansion, not realising some of the biggest superhero members are watching him from the next room. This time the joke is on him, since the y close the door before he sees them, leaving the audience knowing just how ridiculous he is. Reynolds himself has enormous fun with the end credits scenes, trolling fans who are desperate for that Wolverine crossover as well as ridiculing his own earlier superhero efforts. Time travelling scenes show Deadpool somehow crossover into the previous Fox franchise where Wolverine fought Weapon XI (another incarnato of Wade Wilson). Another brutally funny scene shows Reynolds himself excitedly reading an early script for Green Lantern before Deadpool appears and shoots him in the head. It’s horrific but at least somewhere in an alternate timeline, that movie will never get made.